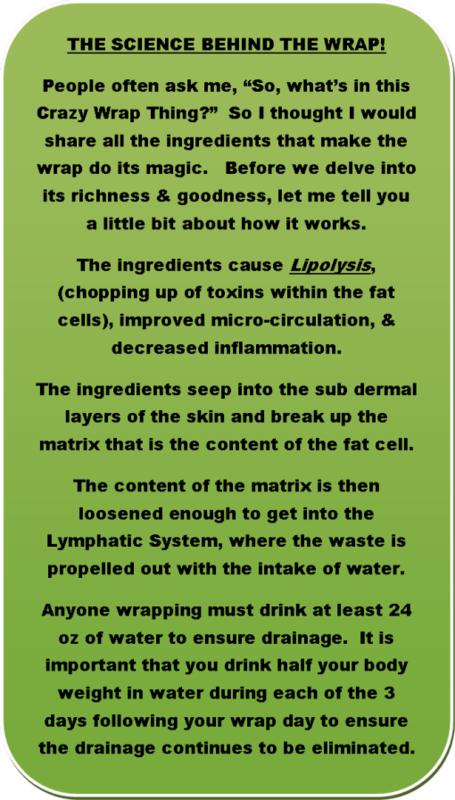 Mama Love: It Works Wrap Review! I was Recently given the Chance to Review the awesome It Works Wraps, by Alicia Bozza. I had heard and seen all about these wraps all over the Internet and I will admit I was skeptical of it it would really work for me like all the pictures that I've seen! Well I am a believer now! I have 3 children all younger (ages 6, 5 and 2 1/2) so My body was wrecked especially having them so close together and with each pregnancy I gained weight of course so finally this year I've lost all the baby weight (down to 136lbs! still planning on losing another 16-20lbs), but after having babies and losing weight, I had the dreaded Mom Pooch, you that pooch of stretched out skin that is just hideous and mine was probably one of the worst! So this weekend I finally got a free chance to try out the Wrap, but before trying it out I headed over to the “That CrazyWrap Thing” Website to read up on the instructions. I was told, according to the site, to drink half my body weight in water the day before applying. Then thoroughly clean and dry the area you are going to try the wrap on, then apply and wrap with an ace bandage or plastic wrap. I used Plastic Wrap! You wear it for at least 45 minutes. Then you make sure to drink 50% of your weight in water for the next 72 hours. SO I cleaned and dried off my ick stomach and placed the Wrap on and proceeded to wrap myself in plastic wrap, not too tightly though, immediately I felt a really cool icy-hot type feeling where the wrap was applied. I actually liked that because in my mind if you feel something it may be working! 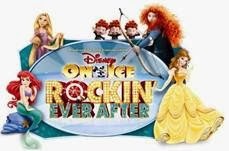 So After being all “wrapped up” I was lazy and decided to kill my 45 minutes watching a movie, which ended up being an hour so I went 15 minutes over my time what can I say the movie was good and I lost track of time. After taking off the wrap I still had lotion residue leftover so I just rubbed it in real well did want to waste any of the “magic”. Then proceeded to take after pictures! I was shocked that it actually worked for me! Ok here are my before an after pics I'm pretty sure I Can See a Difference! Overall the It Works Wraps totally worked for me and I know with continued use my results will only get better! 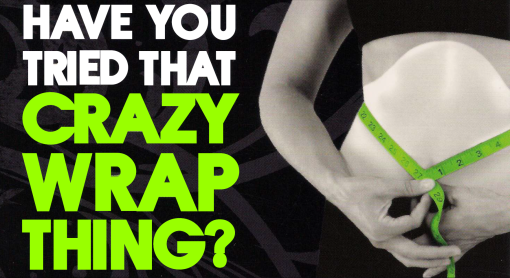 The Wrap Pack is for those that simply want to tighten, tone and firm. The Skinny Pack is for those looking to tighten, tone and firm as well as lose 5-10 lbs. The Fit Pack is for those looking to lose 10-15 lbs as well as tighten, tone and firm. The Ultimate Pack is for those looking to lose over 20 lbs.